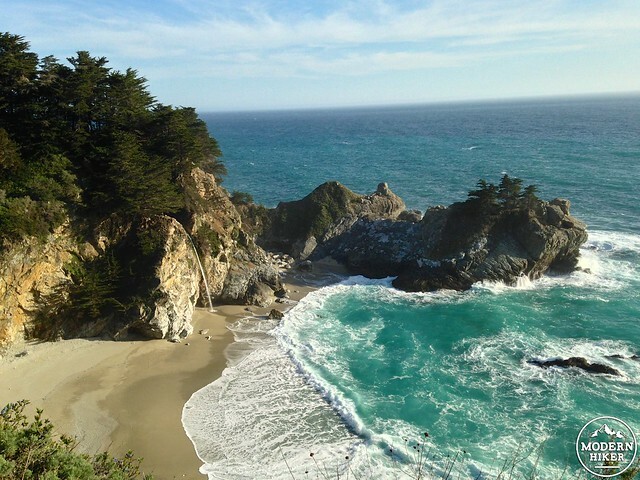 If you’ve ever searched for images of Big Sur, you’ve seen McWay Falls – an almost unbelievably picturesque waterfall that drops 80 feet onto the untouched sands of McWay Beach before churning in the azure Pacific. It’s one of those scenes that, when you show your photos of it to friends, they won’t believe it’s real. 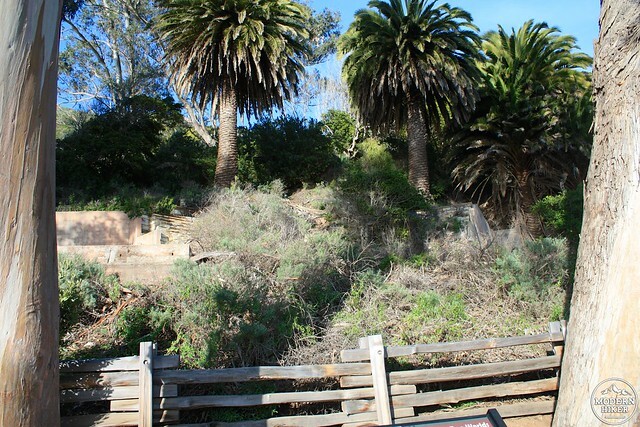 But the falls are, in fact, real – and are visible after a short and easy stroll right off the Cabrillo Highway. 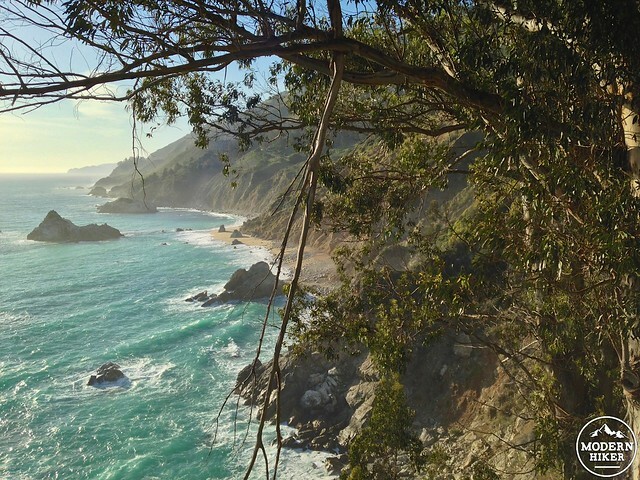 Whether you’re visiting as part of a larger planned hike further inland or just stopping to grab a few snapshots, it’s worth a stop at Julia Pfeiffer Burns State Park. 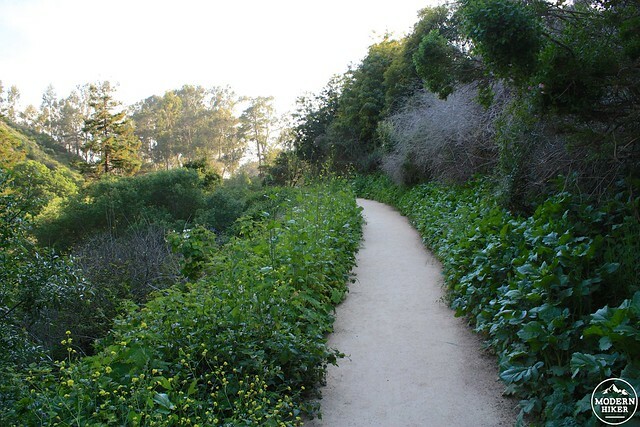 Either pull-off into one of the small, often-crowded free lots off the Cabrillo Highway or pay the self-issued State Park fee and use one of the larger lots inside the park ($10 at the time of writing). 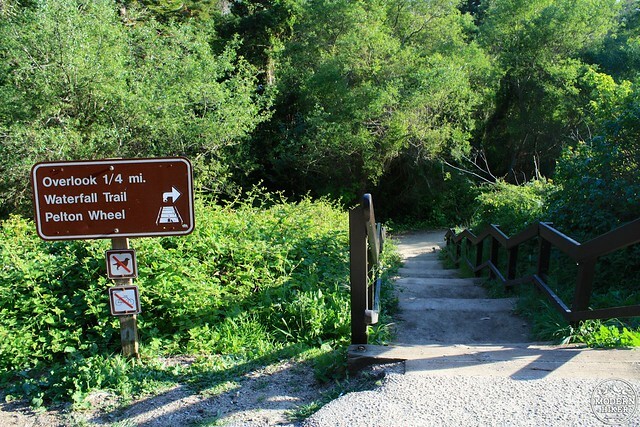 Either way, enter the park and look for the well-marked entry to the McWay Falls Trail, just across the road from the restrooms. 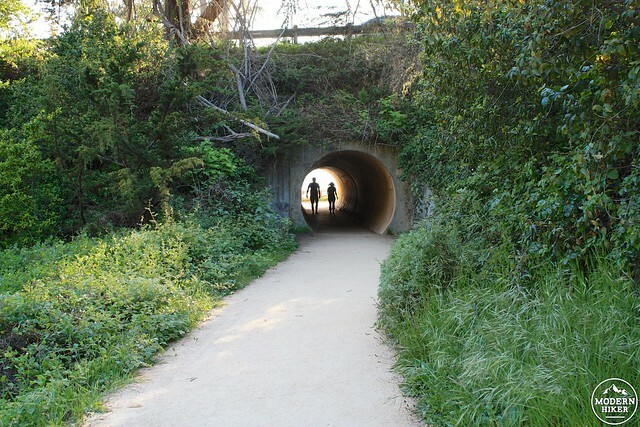 It’s only 0.2 miles of level trail before you pass underneath the Cabrillo Highway. There’s a short side-trail to a historic Pelton Wheel generator from the area’s homesteading days, but this was closed when I visited. Continue heading west and pass beneath the CA-1 through a short tunnel. Upon emerging at the other side, you’ll be greeted by the sound of crashing waves and the smell of salt in the air. Keep to the right to head on an even path with a wooden guard rail. You’ll most likely see photographers lined up along this walk, and as you reach them you’ll be able to turn back and see the falls in its full glory. There is no safe way to reach the beach below – but despite warning signs along the entire route, when I was there I still saw footprints in the sand below and a lone hiker trying to scramble his way back up the nearly-vertical, crumbling rock wall beneath the walkway. Not only is the beach environment dangerous due to crumbling rocks and unpredictable tides and currents, but the area is very vulnerable to erosion. Fun fact – the picturesque sandy beach below the falls didn’t exist until a massive 1985 landslide just north of the falls added tons of debris to the ocean waters. Odds are the currents will continue to remove the sand from this beach and the waterfall will return to emptying directly into the ocean, the same way it did before the slide. If you continue along the path, an elevated wooden boardwalk will take you to the remains of the Waterfall House, a seaside mansion built by Boston socialites Lathrop and Helen Hooper Brown in 1940. The Browns decorated their house with masterpieces by Degas and Gaugin but left the property 16 years later and never returned. 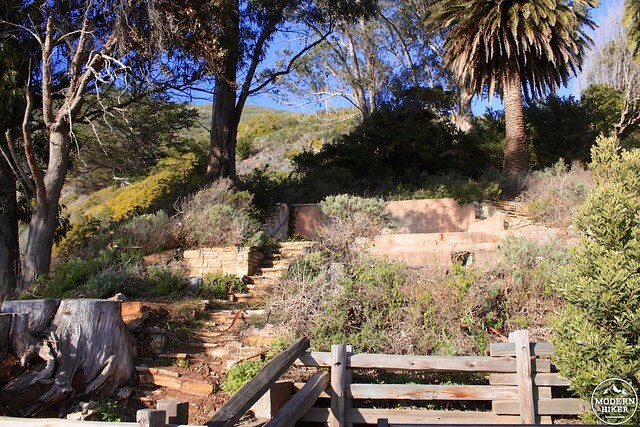 Helen donated the land to the state in 1961 in honor of her friend, the region’s earlier homesteader Julia Pfeiffer Burns. The state couldn’t find a use for the house, so they demolished it in 1966, leaving only these foundations and gardens. 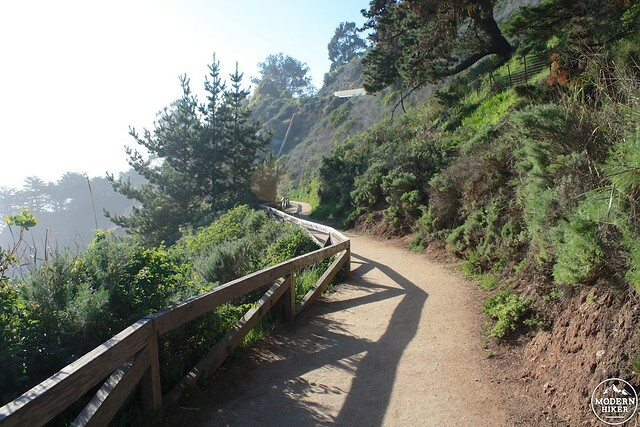 Enjoy the equally gorgeous views to the north and gaze at the tide rolling into McWay Cove, then return back the way you came to continue your journey along the coast or hike the park’s more challenging Ewoldsen Trail. Very good. This is an easy and very accessible route to the waterfall overlook. If you can't snag one of the two (2!) spots positioned above the waterfall, there are plenty of other camping options at other state parks in Big Sur. 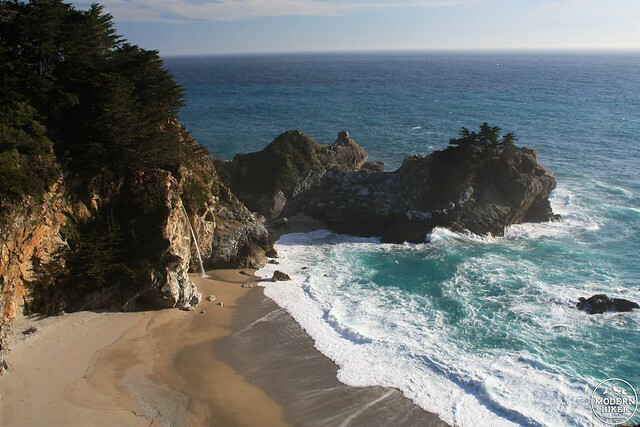 Julia Pfeiffer Burns State Park is located directly on CA-1, approximately 81.2 miles north of Morro Bay or 38.8 miles south of Carmel. Self-issued entrance passes can be purchased for $10 at the gate. If you can find parking in one of the small lots on CA-1, you don't have to pay the fee.